Cixi Demin Eletrical Co., Ltd. Is specialized in machining of high-voltage electrical hardware and parts, machining of non-standard parts, and processing and manufacturing of precision hardware parts, mechanical parts and mechanical parts. 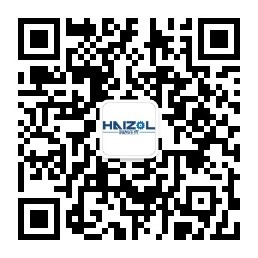 Our products are widely used in home appliances, instruments and meters, communication, aerospace, computer, mechanical equipment, auto parts and other fields. The raw materials for production are stainless steel, iron, copper, aluminum and so on, internal and external thread processing, as well as various copper, aluminum, iron lathes processing.The factory set up a professional technology development, mold making, quality assurance department. Strong technical force, the existing advanced precision automatic lathes, CNC CNC lathes, instrument lathes, grinding machine and other supporting production equipment, corresponding testing complete. Relying on our rich professional experience and scientific and technological strength, we constantly innovate, and strive for perfection from product design to part making, to provide users with excellent performance products. Ningbo yayu electrical co., LTD. Integrity, strength and product quality recognized by the industry. Welcome friends from all walks of life visit, guidance and business negotiations.We sincerely welcome Chinese and foreign customers to invest, order, commission processing, design and processing. Undertake machining, metal processing, metal processing, hardware accessories, lathes processing, stainless steel processing. Wish to cooperate sincerely with domestic and foreign colleagues, and create brilliant future together!